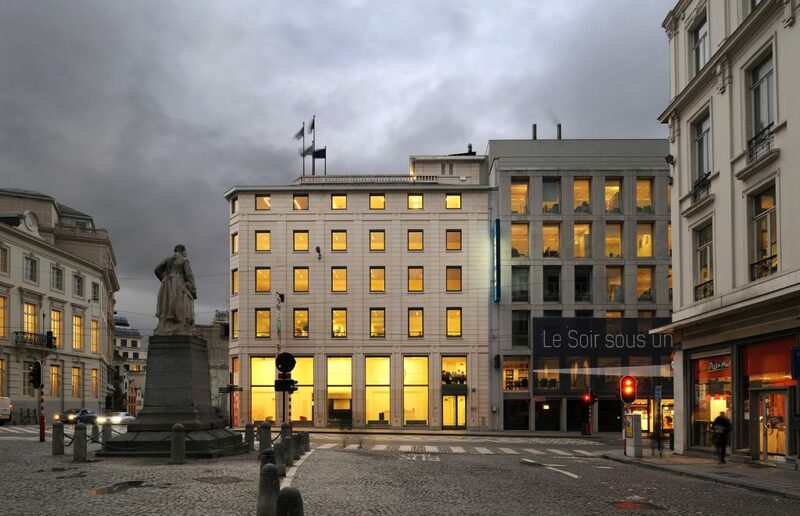 Located on the Stephanie square at the end of the avenue Louise in Brussels, the last 4 floors are used by the famous International Law Firm Clifford Chance. 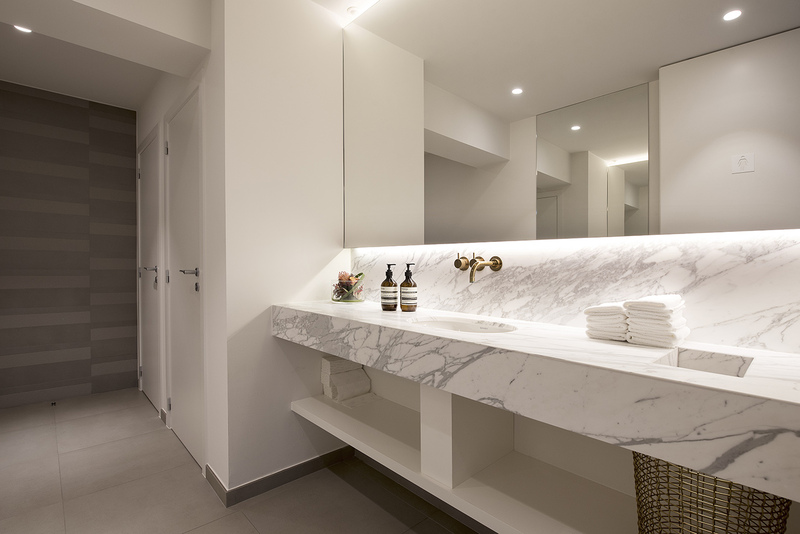 The aim of the project was to renovate the whole building (including parking, common areas (lifts…) and exteriors green terraces by the landlord, while the interior was fully renovated. 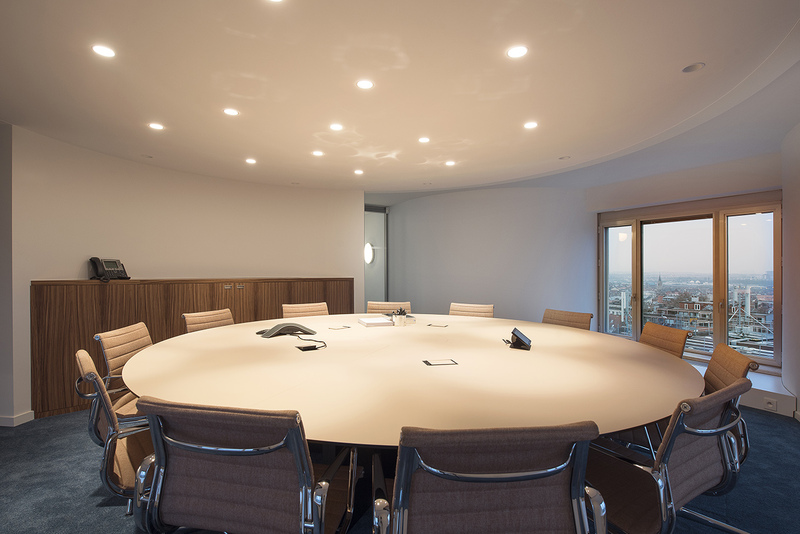 The 7th and 8th floors are dedicated for the meetings and clients, and have more than 7 meetings rooms and lounge area. 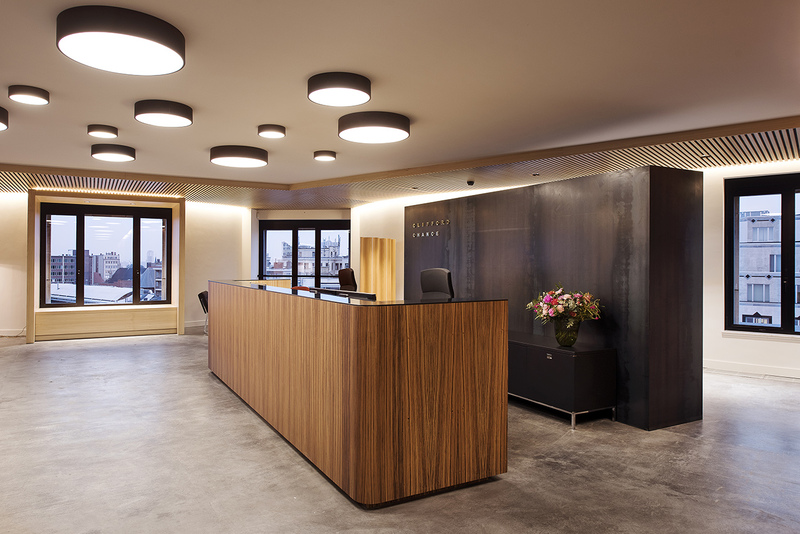 The reception area is designed in the 7th floor in order to feel a cosy and warm atmosphere. The floor is in polished concrete and the walls are in wood and metal panels. Acoustic absorbent are located in the ceiling. 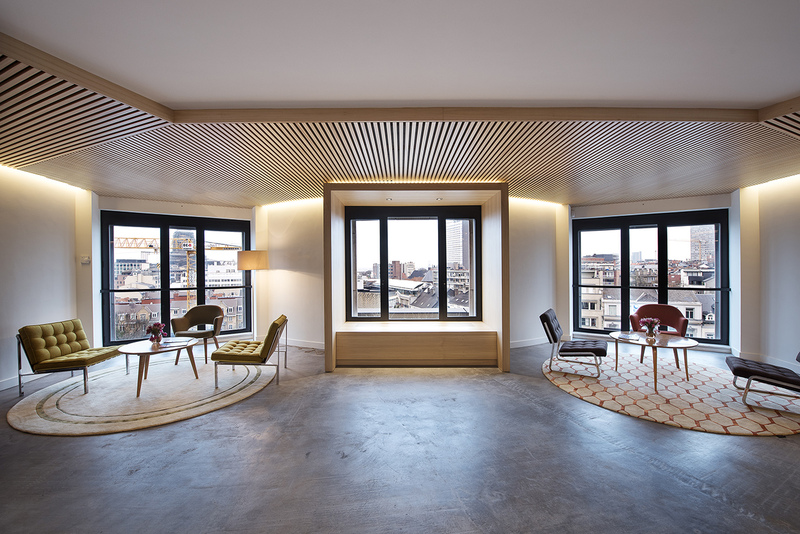 The waiting area is divided by the change of material in the ceiling. The rest of the floors for the lawyers offices from 5th to 6th are also refurbished (sanitary, carpet, painting, and lightings). 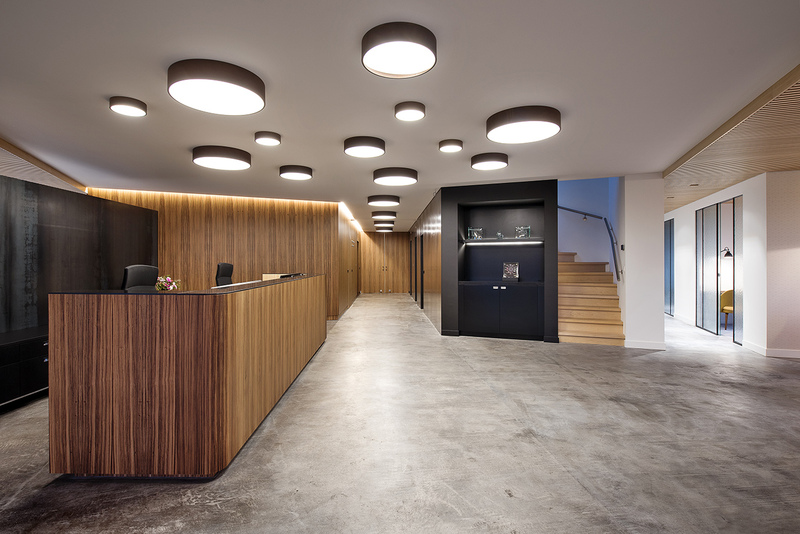 The renovation with the common areas from the landlord lead to a BREEAM rate excellent by using green roof terraces, low energy measures, changes for ventilation and lighting systems. The choice of the materials is made to reduce the environmental impact as much as possible.